The Roman Army conquered the known world at the height of the Roman Empires power - now you too can march towards victory as a member of the Roman Army, or fight for freedom against the tyranny of Roman Might. The choice is yours with the Roman Token Pack. Token Scale: All Studio WyldFurr tokens are rendered to fit a scale of 3 on screen pixels to each real world inch, which gives us a Dungeons'n'Dragons character square size of 180 pixels (each character square equals a five foot square). 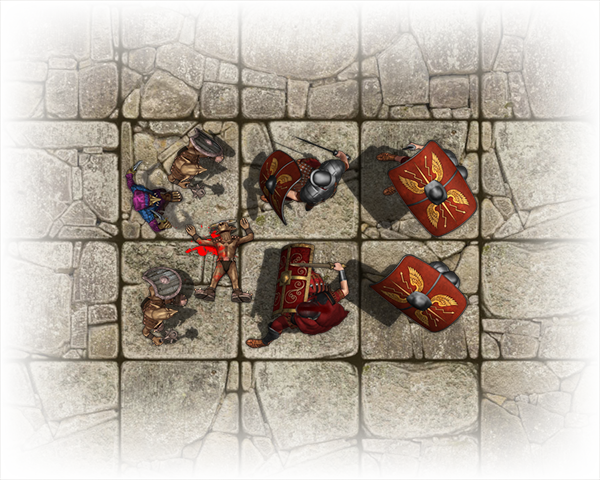 This scale matches up with Studio WyldFurr's other token sets and Map Tiles for seamless integration on the virtual role-playing desktop. Preview PDF: Want to view a sample of all the tokens in the set before you purchase? Why not view our Preview PDF that displays all of the tokens in each character set within this pack. Everything you need to get started with digital role-playing!